My name is Alissa Derrick; I am from the Wet’suwet’en Nation located in Moircetown, British Columbia. I am a 4th year Arts Major; with a double minor in Criminology and First Nations Studies, with an intention of receiving my Master in Public Policy at Simon Fraser University. My work and volunteer experience is influenced towards understanding the process of creating sustainable Aboriginal communities. Of particular interest is to provide knowledge in order to understand the complexities of Aboriginal communities. I want to engage with Urban Aboriginal people to build relationships between Urban Aboriginals and myself, with a greater purpose of creating support and opportunities to enhance their personal and cultural goals. I would like to advocate for Aboriginal people, and build good working relationships with government bodies. Sentencing: What recent changes and progress has been made in this area and how will applying the Gladue decision impacts First Nations communities? How can we rethink justice in ways that build approaches that work? The conference stemmed interest to present a similar event at SFU through the FNSA. Over the holidays, I re-arranged concepts, the purpose of the event, and the tangible process of making it successful. During the transition between attending Langara College, Simon Fraser University, and working among the community a few concerns materialized. In my personal experience, racism, stereotypes, and god-awful remarks regarding Aboriginal people remain in both communities and classroom settings. Therefore, the ultimate purpose of the event was to create dialogue, to break the misconceptions that remain among Aboriginal people. I approached the First Nations Student Association to receive support, with strong emphasis towards the FNSA organization to build opportunities of dialogue for students who have limited resources. The initial intention was to serve the FNSA membership and students enrolled in the Criminology or First Nations Studies Program. Ultimately it served all students and community members who attended it provided an opportunity to listen, ask questions, and build relationships with local members of the criminal justice system (CJS) who have direct involvement with Aboriginal people entering and exiting the CJS. The series sparked community dialogue and community partnerships. The community component added a holistic component, which often is integral among Aboriginal communities. For the event, I received mentorship from FNSA member, Laura Forsyth, worked with volunteers from both FNSA members and former friends from the Aboriginal room at Langara College, and built a partnership with the UBC Learning Circle. The UBC Learning Circle provided interactive videoconference and adobe connect, which both provided participants to have the opportunity to engage with the panelists. For example, the partnership between the FNSA and UBC Learning Circle reached communities such as the Kispiox & Nuchanalth. This component was important towards making the event successful because of personal experience growing up in small communities. Most often these opportunities are either non-existent or limited, and to make this accessible it provides participants with real experience in the struggles that rural Aboriginal communities encounter. 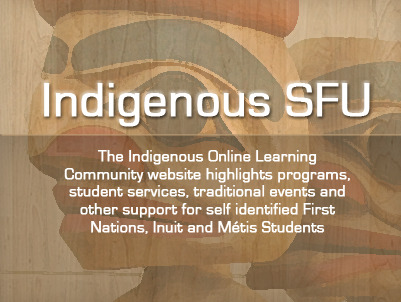 The FNSA: Aboriginal Criminology Series was successful in serving in-person, video conferencing, and Adobe Connect participants. Between the two events, we reach 102 in-person, 6 communities through Video Conferencing, and 16 Adobe Connect participants. The event is among one of the stepping-stones in reaching my goals to serve Aboriginal communities. More importantly, I engaged in community projects pertaining to Aboriginal people for future Aboriginal generations, including my younger siblings, who were able to be a part of these events and witness the changes happening in Aboriginal communities. As a panelist emphasized, the work is never done, but we must keep going.